Embroiderers' Association of Canada, Inc.: Seminar 2015 is almost here! Seminar 2015 is almost here! Calgary is excited as Seminar 2015 is ONLY two months away! Calgary members are busy getting the final touches complete to welcome participants to the SAIT campus this May. Two years ago when we started, it seemed so far off. Soon it will be a memory. Our Seminar Committee selected teachers from Calgary, Canada, United States and internationally. EAC assisted with asking our foreign teachers if they were interested in teaching across Canada and then offered the interested teachers to the other Canadian chapters. Hazel Blomkamp, our African teacher, will also be teaching in Nanaimo, BC; Saskatoon, SK; Montreal, QC and Ottawa, ON during her cross Canada tour. Alison Cole, our Australian teacher will be teaching in Nanaimo, BC; Vancouver, BC; Winnipeg, MB and St. John’s, NL. So these teachers will be busy and we hope everyone enjoys the opportunity to learn from our international teachers. EAC stepped up and will be completing the necessary CRA (Canada Revenue Agency) paperwork required for each foreign teacher. I am very thankful that EAC has taken over this task as it was one less task for me as Faculty Chair to figure out and ensure it will be done properly so our teachers enter Canada without any issues. Being the Faculty Chair has been a rewarding yet daunting experience over these two years. It is amazing the logistics needed to bring teachers into your location. Seminar Committees do a lot of work to make the whole event appear seamless and I certainly appreciate all the efforts of past, current and future committees. Calgary looks forward to welcoming the teachers and students to the SAIT campus from May 12 – 17. It will be a whirlwind event as it is every year, renewing friendships, making new friends, SHOPPING, stitching, sightseeing, etc. So the countdown is on. 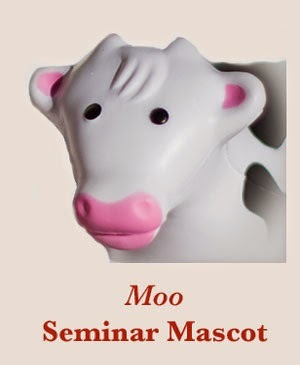 See you in Calgary for Stampeding Stitches Seminar 2015. All the work you have done facilitating these wonderful teachers for us is appreciated so much, Jennie! You have made it appear easy! Less than seven weeks to Registration day! Seminar 2015 is nearly here!